With friends and family across Canada and around the world, we are a family that loves to travel. We enjoy jumping on a plane for faraway adventures, but equally love opportunities for a nearby road trip to spend time together and explore: from Ottawa we’ve traveled frequently to Prince Edward County, Montebello (QC), upstate New York, and Vermont, for example. Our first big family trip was taking our then 6-month old for a multi-leg trip: three weeks to visit family in Calgary, followed by two weeks in Arizona, and finally a one week cruise along the coast of California. 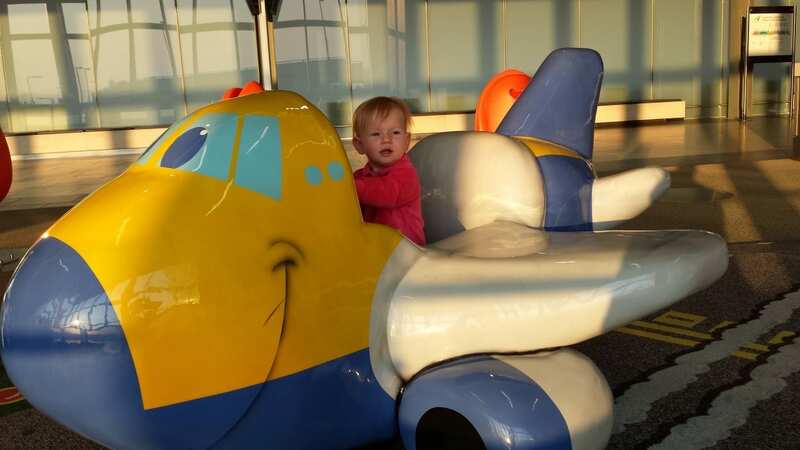 Before leaving on that trip I remember asking myself, “am I crazy?” There were five flights, two rental cars, multiple shuttles and embarkation on a ship, for most of which it was just baby and I (my husband joined us for a portion in the middle). With some planning and lots of patience, it all went more smoothly than I could have imagined which boosted my confidence and has encouraged us to travel further. Our family has just returned from our first trip across the Atlantic with our little one who is now 17 months old, and I was pleasantly surprised that this trip went great as well! (Notwithstanding a missed connection in Frankfurt, being delayed nine hours and the airline losing our luggage, but that’s another story…). For air travel: check in ASAP (usually 24 hours prior to departure) to ensure you aren’t bumped (airlines are getting brutal at over-booking flights), and so that you can select your seats. A strategy that worked well for my husband and I going to Europe was to select the two aisle seats in the middle section of the plane, or a window seat and an aisle seat .Absolutely no one chooses the middle seat, so unless the flight is 100% full, this could be your best chance of getting an empty seat beside you. Having that little bit of extra space makes all the difference in the world! If you don’t get the seats you want, speak with an agent at the desk as soon as you get to the airport and ask (nicely!). If you don’t ask, the answer will always be no. You can also check out seatguru.com for advice on the most desirable seats on your aircraft. Always pack an extra pair of clothes for everyone in your carry-on, in case someone has an accident. It will also mean you have at least one clean set if your luggage goes missing. For the same reason, pack enough diapers, wipes, diaper crème, food, and medications for 24 hours. For packing, I strongly recommend rolling your clothes and securing them with elastic bands. For babies/kids, you can roll up entire outfits together. Not only does this allow you to make the most of room in your suitcase, but you’re able to see everything at a glance. 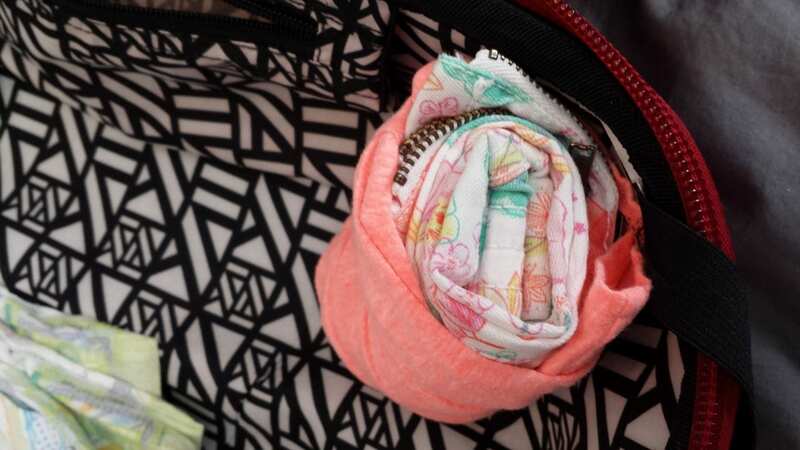 This strategy is especially useful if your trip includes multiple stops, as you can just toss your “rolls” into your suitcase, and not have to fold/unfold your items each time. iPad: We never let our daughter have screen time at home, but we break this rule for long flights. My husband downloaded two preschooler apps, about barnyard animals and modes of transportation, which provided welcome relief when we were running out of ideas. To combat jetlag, try gradually adjusting your bedtime the week prior to leaving. For traveling to Europe, I moved bedtime (for everyone) 15 minutes earlier each night so that by the time we traveled our schedule was two hours closer to the time at our destination. As soon as your travel starts, adjust your watch to the time at your destination and try to start eating meals at those times. Your first evening, try to go to bed as close to your regular bedtime as possible. I also swear by using essential oils when I travel. Accept the kindness of strangers, especially if you’re traveling alone. If the airline steward or kind grandma beside you offers to hold the baby so you can go to the washroom in peace, let them. The passenger behind you wants to play peek-a-boo with your little one? Encourage them to do so. Most importantly, relax. Easier said than done, but try to enjoy the experience of traveling with your child. Don’t worry about the grumpy passenger across from you, or stress about whether your child will make noise or make a mess. You’re making invaluable memories with your family, and each time you travel it will get easier. Bon voyage! I am a Calgary girl transplanted to Ottawa (via Australia, Tunisia, Mexico, etc etc). 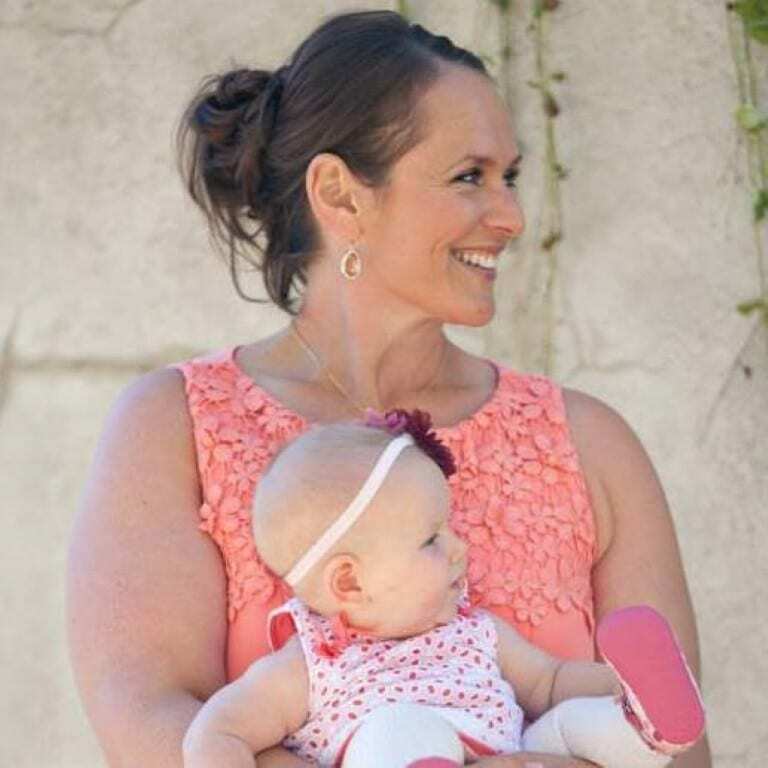 I’ve been married for two years, I work as a federal public servant, and I’m mom to 16 month old Charlotte and a two year old feline named Rose. I’m also an avid cyclist, hiker, yogi, reader, coffee-lover and all around busy-body. I blog about everything that is going on in and around town: festivals, special events throughout the year, my favouirte yoga studios and great restaurants because contrary to popular belief, I think that ‘Hottawa’ is a fun and fabulous place to live. Find me at @thehottawa. Those are great tips, I could see them really making a difference with travelling. Some great tips and reminders…..I can’t tell you how great a little wallet for my girl was. She was so focused on all the little cards and (fake)coins I put in it. It’s the little things…. Bringing an extra set of clothes for everyone in the carry-on is important, and I speak from experience! 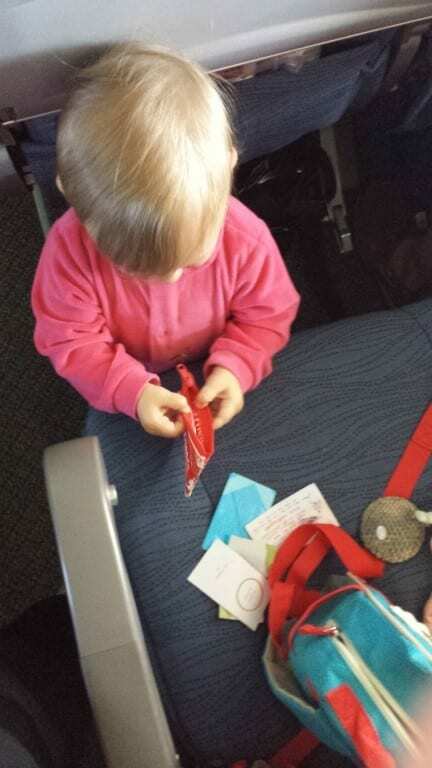 My first flight with my now-toddler (then 7-month-old), her diaper leaked during the first of three flights. Thankfully, I had thrown in extra clothes for me too! Also, I learned for future flights how to adjust the leg gussets on disposable diapers (I discovered the hard way that they were different from the cloth I generally use.). This article has been bookmarked! I’m sure it will come in handy. That wallet came in handy again during yesterday’s road trip….that and Magformers! Great tips! 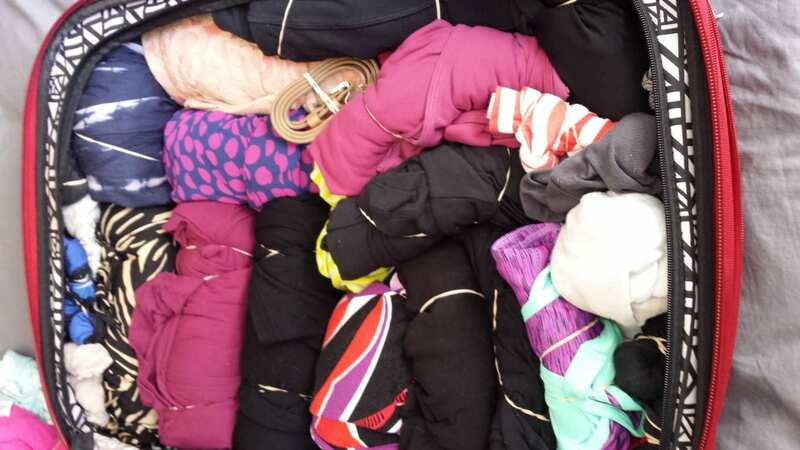 I especially love the idea of rolling the clothes in order to see everything at a glance! Great tips. We went on a roadtrip with our 10month old and she was kept occupied with snacks the whole time. And now I understand why I see my friends roll up their clothes when they pack! Thanks for all the great tips,they come in handy! « Already Time for Back to Campus #StudentLife with a Contest and a Twitter Party!